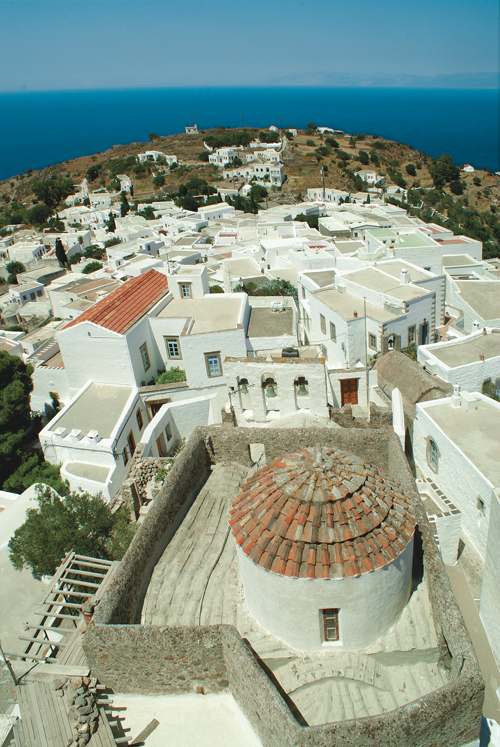 Patmos has been included in the catalogue “Monuments of World Heritage of UNESCO” since 1999, because of the historical centres of the island (Chora) the Monastery of St. John and the Sacred cave of the Apocalypse. This declaration was based on the criteria of architecture, the unchanged religious rituals through the centuries and its constant evolution since the 12th century, which made both places into centres of pilgrimage. The historical centre (Chora) is one of the few areas in Greece that continuously evolved since the 12th century just like the religious rituals that continue to take place unchanged since the early Christian years. The Monastery of St. John the Theologian and the Sacred Cave of the Apocalypse, together with medieval Chora, consist of an excellent example of a Greek traditional and religious centre of pilgrimage, with great architectural interest. The Sacred cave of the Apocalypse where St. John the Theologian wrote the Book of Revelation. The decisions’ proceedings of the UNESCO Committee mentions: “The Monastery, the Sacred Cave and Chora, form a unique traditional Orthodox Pilgrimage, that syndicate the gradual and constant evolution since the 12thcentury with the conservation of religious traditions and rituals of the old Christian times”. The edict of Alexios A’ Komninos (chrisovoulo) is included in the catalogue of world factual heritage. Grikos: One of the world’s most beautiful bays. 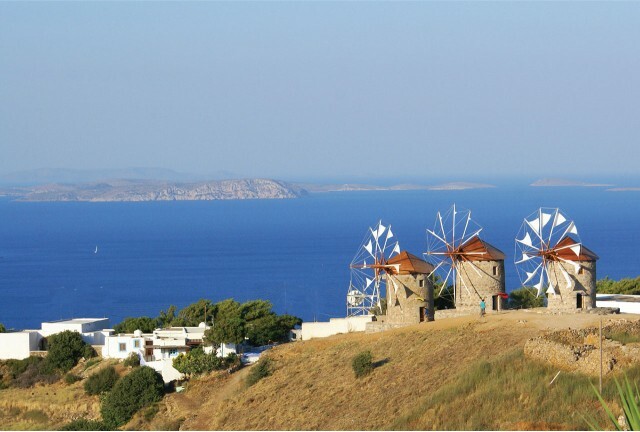 In 2009, after an applied research by FORBES magazine, Patmos was enlisted at the top of the 10 idyllic destinations in Europe. Places characterised as unique, magical but also “approachable," regarding the cost of life and the acquirement of houses. This classification was undertaken by experts in the field of traveling and tourism. According to FORBES, apart from all the churches and the religious connection with St. John the Theologian, who wrote the Book of Revelation, the island is considered one of the most beautiful, idyllic and yet untouched through time holiday resorts. In 2012, the Monastery’s windmills were given an award, by Europa Nostra, for being “The best restoration work of cultural heritage“. 28 winners were chosen between 226 propositions from 31 countries for the EE Europa Nostra prize in 2012. One of the four prizes were given to “The windmills of the Monastery of St. John the Theologian”. The panel was called to examine different mills from all over Europe. The committee agreed that the mills of Patmos had been restored in great detail and had creative uses both for future production and as a tool for education. The Europa Nostra is a European, non Governmental Organisation (NGO) which represents 250 NGOs from 50 different European countries. It’s supported by more than 150 public services and companies, as well as by more than 1500 independent members. Its huge network of professionals and volunteers is committed to preserve Europe’s cultural heritage for today’s and tomorrow’s generations. On 1st June, Awards were presented during a ceremony at Jeronimos Monastery, in Lisbon, in the presence of the President of Europa Nostra Plàcido Domingo, the President of Portugal Aníbal Cavaco Silva, the President of the European Committee José Manuel Barroso , and the European Commissioner for Education, Culture, Multilingualism and Youth Adroulla Vasilliou. In June 2014 the presentation of the prize took place on Patmos Island. Coesima: PATMOS, One of the 7 Pilgrimage destinations in Europe. Since 2004, Patmos has been integrated into the 7 European Pilgrimage destinations through the COESIMA program. These seven pilgrimage locations are: Lourdes (France), Fatima (Portugal),Częstochowa (Poland), Altötting (Germany), Santiago de Compostela (Spain), Loreto (Italy) and Patmos. Every year more than twenty-million pilgrims from over 150 different countries visit these cities. COESIMA’s goal was to form a permanent Network between these very important Pilgrimages whose economy revolve around the same theme. In this way their aim is to make sure that this activity gets the best management possible and constant promotion, which will benefit all places and their visitors, stimulate their economy and promote their sustainable development.